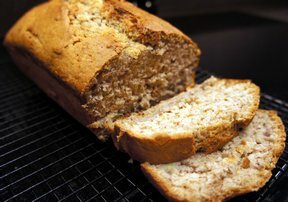 If you want banana bread that is a bit more distinctive, try this flavorful version made with sour cream. 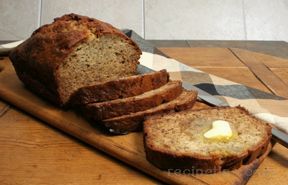 One bite and you’ll agree that it’s one of the best banana bread recipes you’ve ever tasted. Grease bottom of 9x5 pan or 8x4 pan. In large mixer bowl, blend first 6 ingredients, beat for 1 minute at medium speed. 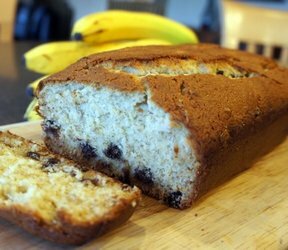 Stir in dry ingredients, just until dry ingredients are moistened. Pour batter into prepared pan. 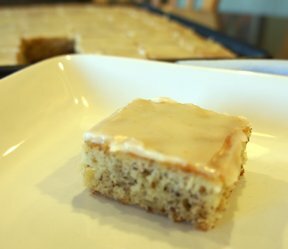 Bake at 350° for 50-60 minutes or until toothpick inserted in center comes out clean. Cool 5 minutes in pan, then remove to wire rack to cool completely.